1 v 1 to goal. 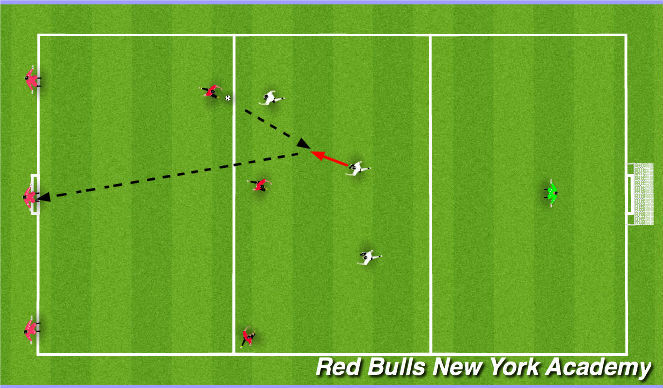 1 Player with the ball passes into opposition player. Attacking player tries to dribble past the defender and pass into goal. If defender wins it, they go to opposite goal. - 1 v 1 to gate. 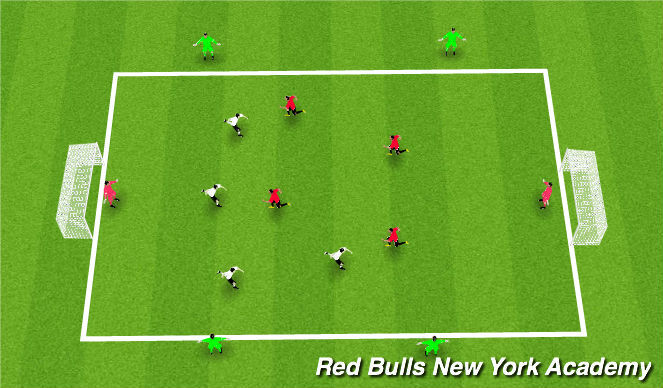 - Player passes in the ball and immediately becomes a defender. 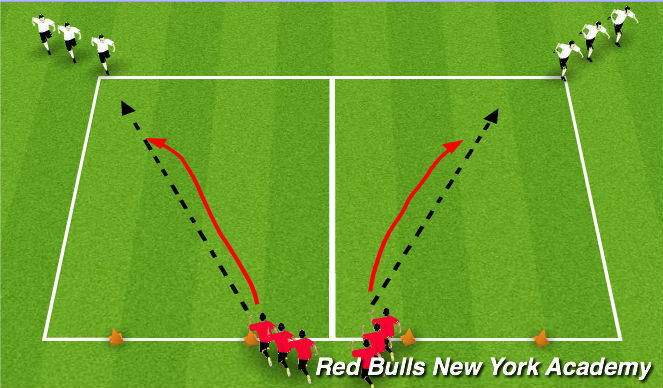 - The attacker has to try and beat the defender and dribble through the gate. - If the defender steals the ball, the dribble through the endline. - Attacking team start with the ball and try to score in the goal. - The defending team have to stp the other team from scoring and when they win the ball, they play into the waiting attackers. - As soon as the waiting attackers receive the ball, they become the attacking team and the previous attacking team switch places with them and be the waiting attacking team. - Pressuring drops immediately after ball leaves their "zone"
- Pressure quickly when ball is in your "zone"
Regular scrimmage with 3 teams of 4 with 1 team on the outside as neutrals.